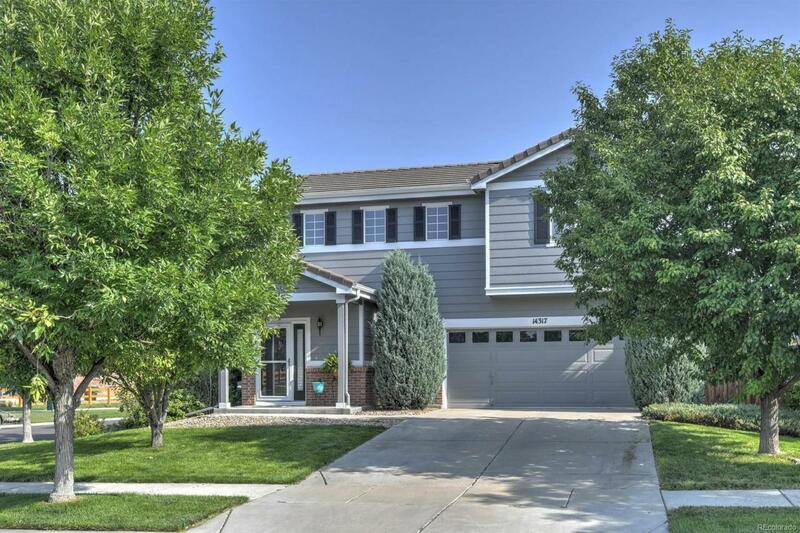 Charming 2 story home in Foxton Village neighborhood! Excellent curb appeal located on a corner lot. Open floor plan with tile flooring in the kitchen & bathrooms. New carpet on the main floor. The kitchen has 42" oak cabinets & includes dishwasher, microwave & stove/oven/range which is one year old. Spacious upstairs loft. Updated bathrooms with slab marble & granite counters. Ceiling fans in family, loft & master bedroom. Decorative plantation shutters throughout home. New exterior paint. Tile roof. Great backyard with an oversized trex deck.